China's navy, from its founding in 1949 to the 1996 Taiwan Strait crisis, was focused on preventing Taiwan from becoming formally independent. This goal did not require long-distance operations that would require an at-sea resupply capability. Now, however, Beijing has declared its status as a global maritime power. Amateurs, it is said, talk about tactics, but professionals study logistics. 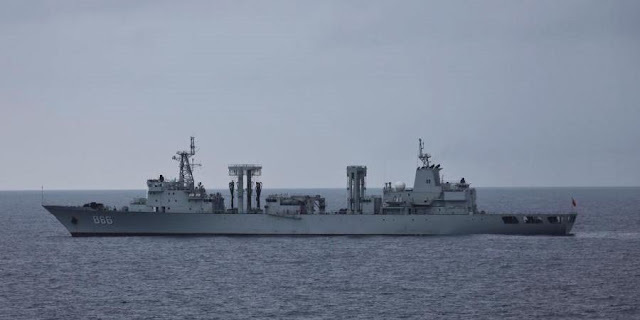 The leaders of China's navy, the People's Liberation Army Navy (PLAN), apparently have finally understood the vital role played by logistics in any effective military force. The PLAN's current modernisation program may be dated to the mid-1990s, but until recently it failed to include expanding replenishment-at-sea (RAS) capabilities.